We can all agree that the ultimate goal of any marketing strategy is for customers to buy your products. How you get there is where it gets challenging — and fun. Two of the key elements of customer acquisition are demand generation and lead generation. Yet, even today, there is still some confusion amongst companies and even marketers over the difference between the two. That difference is pretty simple. Lead generation is the process of collecting information about potential customers (i.e. leads) through various marketing campaigns. It is a sub-category of demand generation. Demand generation is a strategically-planned marketing operation designed to constantly drive a demand for your products. It is a critical part of any B2B marketing program. And the most effective way to implement demand generation is to develop prospect engagement through every level of the marketing/sales funnel. What is a marketing/sales funnel? Awareness— The top and widest level where your goal is to amass as many potential leads as possible through a series of marketing campaigns. Interest— Prospects make an inquiry and learn more about your company and products through additional marketing communications. Consideration— At this point, prospects consider purchasing your products and request more detailed information. These are classified as Marketing Qualified Leads (MQL). Intent— The level where prospects indicate they are interested in buying your product. They are now considered High Quality Leads (HQL). Evaluation— This is the final decision stage where prospects choose whether or not to purchase. These are Sales Qualified Leads (SQL). Also known as the Glengarry Glen Ross Leads (or maybe I just call them that). Purchase— Last stage of the funnel where prospects finally buy and become your customer (and you get Alec Baldwin’s watch). Lead generation generally takes place during the Awareness and Interest levels of the funnel, while demand generation envelops the entire funnel. It’s extremely important that B2B marketers focus on full-funnel demand generation and sales cycles in order to be successful. They must become invested in every phase of the buyer’s journey. To do this, they must also work closely with sales teams to coordinate and make sure potential customers get all the information they need to move from the Interest to Purchase levels. The most successful B2B marketing and sales teams create one unified demand generation process, rather than functioning independently. This typically results in more intelligent lead generation efforts. Develop a funnel model that is specific to your business goals. Identify high-value organizations and individuals through engagement from start to finish of the customer life cycle. Determine budgets, authority, need, and timing of prospective customers. Generate reports for analytics, testing, and accurate measurement of leads.  Integration of lead nurturing and lead scoring to move leads through the funnel. Leverage content investment in white papers, articles, and videos. Not only does this integrated team effort generate more qualified leads, it also helps retain customers, build lasting relationships, and contribute to your organization’s bottom line. 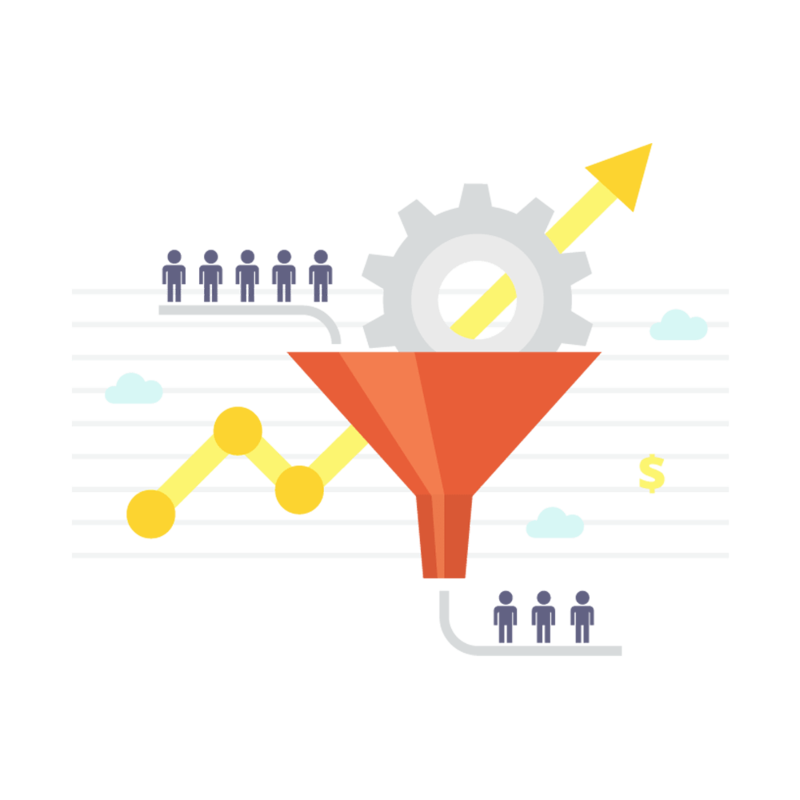 At a time when marketers are expected to prove ROI with every campaign, defining and implementing a full-funnel demand generation strategy is one of the keys to success. So don’t just generate leads. Create a demand for your products and your brand. To learn more, and to discover how we can help you develop your funnel and fill it with qualified prospects, go to our Full-Funnel Demand Generation services page. Or just contact us today to discuss your specific needs.